A book about one of the oldest and most complex languages in the world, and the heart and soul of the people who use it. Icelandic is a complicated language. It’s a bloody mess grammatically, a nightmarish mishmash of inflected nouns, verbs, adjectives and pronouns, corresponding to four different cases, three different noun genders, moods, voices and constructions, plus any number of exceptions and rules that seem completely arbitrary, and very often are. This is not a textbook. It is not about the technicalities of Icelandic. It is not even a book that will help you order a beer in a pub. (Don’t worry. You can use English for that.) Rather it is about the Icelanders’ love of their mother tongue, their zealous attempts at keeping it pure, their often-hilarious way of cobbling together vocabulary, and their idioms and proverbs that are such a strong reflection of the things they consider truly important. In short, this book presents how the very essence of the Icelandic people and their culture is reflected in their language. All in short essays that are light, humorous, and easy to read. The book is available in three different formats: Kindle eBook, paperback, and fine quality hard cover. The hard cover version ships from Iceland, so shipping is extra. The paperback is available through your nearest Amazon site. The Little Book of Icelandic is illustrated by Megan Herbert, who also illustrated The Little Book of the Icelanders and The Little Book of the Icelanders in the Old Days. 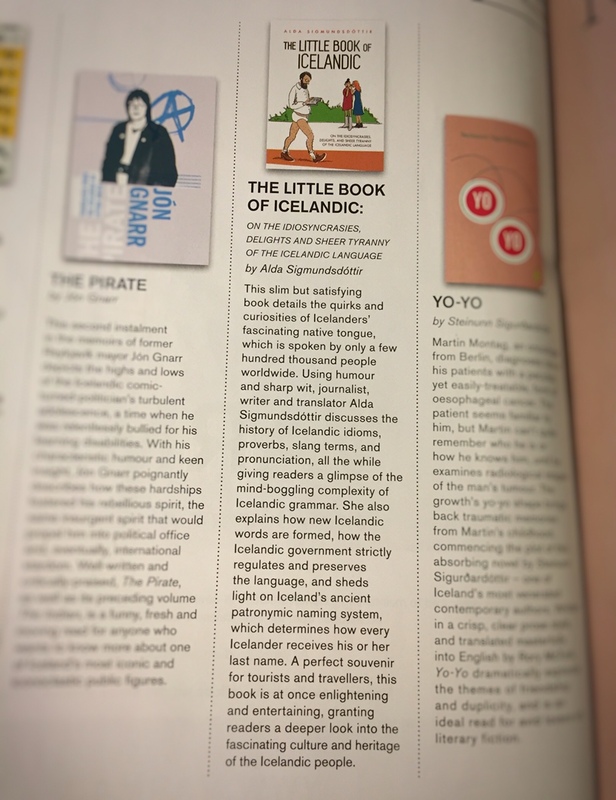 “A perfect souvenir … this book is at once enlightening and entertaining, granting readers a deeper look into the fascinating heritage of the Icelandic people.” – Icelandair in-flight magazine. Full review. 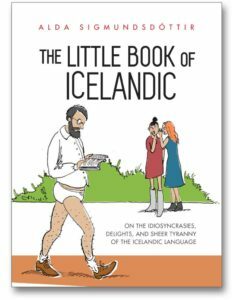 “There is invaluable information to be found; such as a chapter on swearwords and one on the special benefits that come with fluency in a language that next to no one understands.” – Iceland Review. Full review.